As storytellers, don’t we all have that hope? That what we write will have this kind of impact on a reader? Even if our genre is a commercial one, we ought to consider the power of the wiring in our brains, which seems to be uniquely designed for the reception of a story. It has always been so! When our writing hooks into these universal themes (e.g., grit, sacrifice) there is a connection with readers that is an essential component of long-term writing success. Again, genre does not matter. 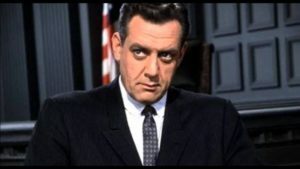 To Kill a Mockingbird makes that connection, but so do the Perry Mason novels. Erle Stanley Gardner, Mason’s creator, recognized this early on. He called it finding a “common denominator” for the reading public, and boy did he ever get rewarded for that! 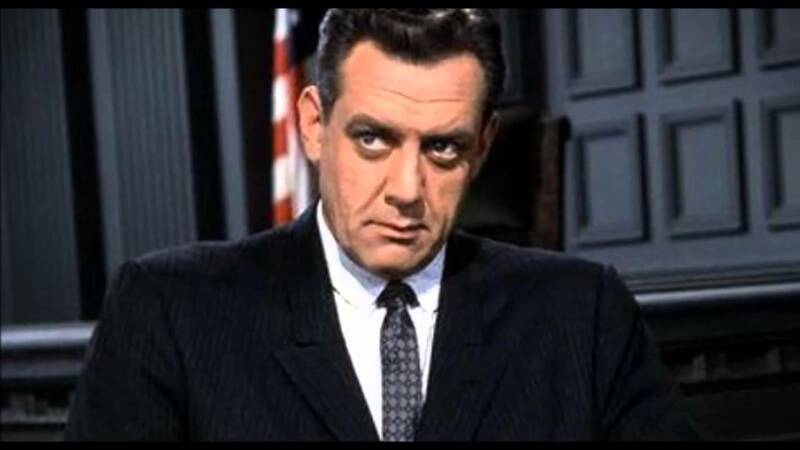 Perry Mason was a “knight” fighting “injustice,” Gardner once wrote. The same can be said of Atticus Finch. When the University of Southern California neuroscientist Mary Immordino-Yang told subjects a series of moving true stories, their brains revealed that they identified with the stories and characters on a visceral level. People reported strong waves of emotion as they listened – one story, for instance, was about a woman who invented a system of Tibetan Braille and taught it to blind children in Tibet. The fMRI data showed that emotion-driven responses to stories like these started in the brain stem, which governs basic physical functions, such as digestion and heartbeat. So when we read about a character facing a heart-wrenching situation, it’s perfectly natural for our own hearts to pound. Ravish is the perfect word. It means to overtake with indescribable delight. Jesus wooed the crowds with stories, like The Prodigal Son. He taught what love looks like in The Good Samaritan. These stories tap into circuits that pre-exist in our brains and zap us with emotion. Maybe the other way to put it is that readers, being actual people who live in this world, seek connections –– with friends, family, and at the table of a worthy cause. A cynic may manage to convince himself he needs none of these things, but he will be the unwitting foe of his own wiring. Get him into a ripping good story, though, and at the very least he’ll be out of the abyss for awhile. And maybe that story will be the lifeline that pulls him back into the light to stay. When Abraham Lincoln, a first-rate storyteller himself, met Harriet Beecher Stowe, the author of Uncle Tom’s Cabin, in 1862, he reportedly said, “So you’re the little woman who wrote the book that started this great war.” Stowe and Lincoln both knew how to unleash “the better angels of our nature.” They used story power. Do you ever think in those terms when you write? Do you have a potential reader in mind, knowing he or she desires connection? What “common denominators” do you think about when you write? Have you noticed how you plod through some books you’re writing and others seem to write themselves? Why is that, do you think? 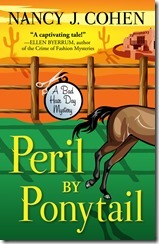 Peril by Ponytail, my upcoming mystery release, was a breeze compared to some of my other stories. I had a wealth of research material from my trip to Arizona. Not only did I stay on a dude ranch similar to the one where Marla and Dalton honeymoon in the story, but I explored a copper mine, hunted spirits at a haunted hotel, toured a cave, visited ghost towns, and more. With such an abundance of historical and sensory details, I had too much material for one book. The story sprang from the setting and the characters I’d placed there. Photos brought me back to the locale along with my detailed notes. I didn’t lack for words to fill in the pages. My next story, Facials Can Be Fatal, is a different story…figuratively as well as literally. 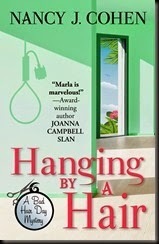 Based back in my hairdresser sleuth’s hometown, it involves a client who dies in the middle of getting a facial. The method of death tripped me up, and it took me weeks to decide Howdunit. Then I created my ring of suspects, but it wasn’t enough. The spark was missing. When I hit upon a historical angle and the idea of a deserted theme park, those two elements hit the ball into the field. Now I was off and running. I’d needed that ember to ignite the flame of creative passion. Now I’m writing the sequel, since #14 in my series directly follows book #13. Normally, I write a detailed synopsis before the writing process begins. In this case, I wrote four pages of plotting notes that essentially go from Point A to Point B without much in between. A mystery doesn’t work without twists and turns. My normal synopsis runs 12-15 pages. But just by winging it, I’m already up to page 40 in the story. I’m not sure where I am going. I have hazy images of the suspects and their motives in my head. And I haven’t yet hit upon the angle that’ll make my pulse race. Do I need it? Maybe not. I sit down every morning with the blank page in front of me and my five pages a day goal, and those words somehow get filled in. I expect at any time to get stuck due to insufficient plotting, but it hasn’t happened yet. This is a different kind of mystery for me. It’s not a “dead body up front” kind of story. There’s been an accident, and we aren’t sure yet if it was intentional or not. Meanwhile, I’m going with the flow to see where it takes me. Does this happen to you? Are some stories easier to write than others? What do you think makes the difference? As I switch my gaze from the iPad where I am proofreading my next Marla Shore story to our bookshelf crammed with mystery novels, I marvel at how mere words on a page have the ability to transform into a mental image in our minds. In addition, those among us who have the gift of reading fiction can transport ourselves to any realm, time or place and put ourselves into any fictional role we desire. Not everyone is blessed with this ability. Those who read nonfiction or fashion magazines, for example, may lack this talent or deny it in themselves. It’s their personal preference not to read fiction but it’s also their loss. We possess a gift in being able to glimpse a page of words and fly away to another world in our imaginations. How does this happen? What transformation occurs in our brains to allow us to visualize scenes based on black type against a white page? Surely studies must have been done to show how this works. It never ceases to amaze me. I feel sorry for people who do not share my enjoyment in reading stories. As this ability to transform words into images is a human trait, let’s admit that what each of us perceives is related to our personal lifespace. Lifespace is a concept I learned in nursing school and carried over to teaching writing. In character development, you take your main character and write her name in a circle on a piece of paper. Draw cartoon bubbles around her head. In these spaces, fill in what’s in your character’s mind at a given moment in time. What are her immediate concerns? Tasks to complete? Daily goals? That’s her lifespace. Do this for your protagonists and you’ll get inside their heads. How you read words on a page and perceive them will differ from how I do it, because we each perceive the same scene from different viewpoints. What mood are you getting from this short piece? Are you feeling sad? At peace? Tempted to go skinny dipping? 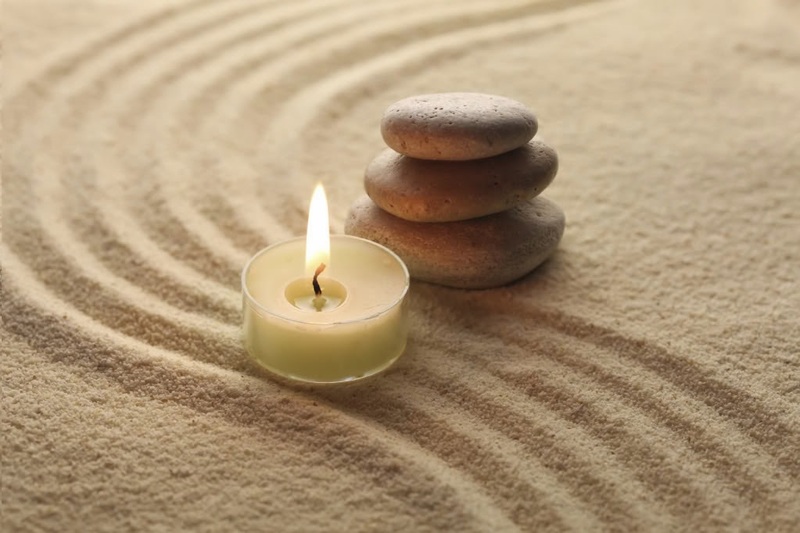 How you feel will be partly due to the words and the imagery they provoke and partly due to your own life experience and how you perceive the world. I love reading stories. I want to share my passion, although I understand people’s reading tastes differ. But what wondrous worlds these other folks are missing. And what a wonder it is that we can take mere words on a page and use them to transcend to another universe. Wouldn’t you agree? I posted some quotes below from bestselling authors on the craft of writing and the writer’s life. Some are funny, most are thought provoking, but the one at the top of the list from Willa Cather struck me as a topic for conversation here at TKZ. From Cather’s quote, it would appear she believed that most of an author’s innate ability to write comes from how their lives were shaped in the first 15 years. We can read craft books, attend lectures, and follow as much advice as we have time to absorb on how to write books, construct stories, create characters, and world build, but there is also a part of who we are that makes up the total author. For me, I grew up in a large family and our parents taught us how to laugh and we used our imaginations to tell stories and have adventures outside, not with video games. We even had skits we did for summer projects on our own. We did audio recordings of scripts I wrote as TV show parodies, complete with fake commercials. We chose video recordings (like a filmmaker) for class projects. We were all about theatrics and drama, for fun. I wrote a lot of things and had always been drawn to the written word. My grandfather had been a big influence on me. He came to this country from Mexico after fleeing the revolution in his country. He wrote for the Hispanic newspaper, La Prensa, in San Antonio and he eventually managed the Alameda Theatre that brought in vaudeville acts and Mexican movie stars to the stage. As a young child I rode a pony across the stage of that theatre as part of an act. Mostly I remember listening to my grandfather’s many stories. Some were real and others, not so much. What he didn’t know, he made up with a flourish. All of these influences became ways for me to tell a story and stretch my imagination. I can see what influenced me as a writer in those early years, but I’d love to hear from you about your lives and formative experiences. 1.) What in your earlier years influenced you to become a writer? 2.) Do you agree with Willa Cather that most of a writer’s basic skills are experienced before 15 years of age? 3.) 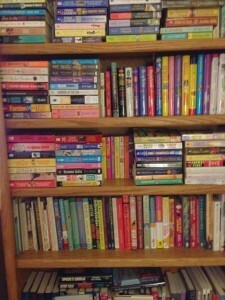 What do you think influences authors most in those first 15 years? I plead not guilty, ladies and gentlemen of the jury, and thank you for this opportunity to set the record straight. 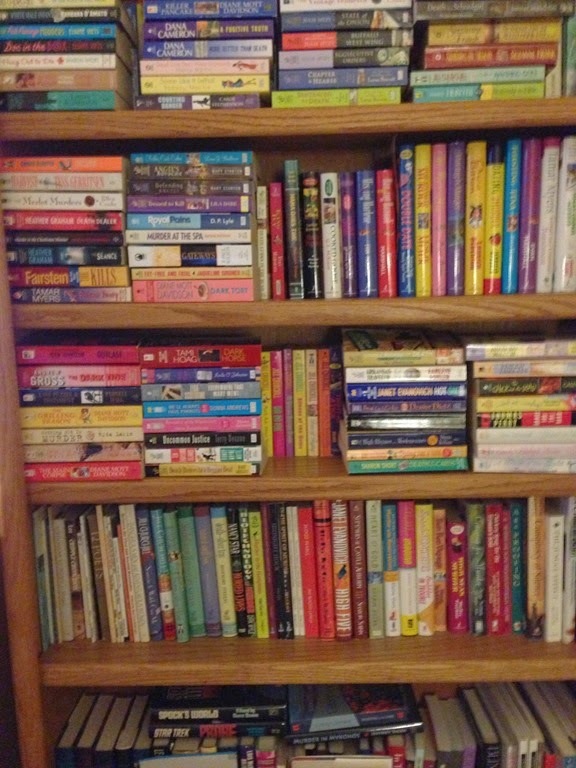 Let’s step back a moment: Just what is literary fiction anyway? I’m not going to attempt an all-encompassing definition. I’m not sure one exists. Sometimes it’s defined by what it is not: it is not genre fiction, for example. It is not “commercial.” Style and meaning are more prominent in literary fiction. It is “more complicated” and requires more “effort” to get into. Whatever. My only point last week was to say that some (key word) highly lauded literary fiction seems to me to get in the way of story, not help it. I thought that was an innocent enough remark whose truth is all but self-evident. But then came the storm, and broad-brush asseverations that, even if unintentionally, splashed gooey residue upon your blameless observer. I am thus compelled to offer evidence, which is why I now post the following. It is from a critically acclaimed literary novel. The author is highly regarded and many people love his work. My intent here is simply to point out that this is a type of writing that does not work for me.May I repeat that, please? For me. The broad brush is in the garage, unused. It was a lone tree burning on the desert. A heraldic tree that the passing storm had left afire. The solitary pilgrim drawn up before it had traveled far to be here and he knelt in the hot sand and held his numbed hands out while all about in that circle attended companies of lesser auxiliaries routed forth into the inordinate day, small owls that crouched silently and stood from foot to foot and tarantulas and solpugas and vinegarroons and the vicious mygale spiders and beaded lizards with mouths black as a chowdog’s, deadly to man, and the little desert basilisks that jet blood from their eyes and the small sandvipers like seemly gods, silent and the same, in Jeda, in Babylon. A constellation of ignited eyes that edged the ring of light all bound in a precarious truce before this torch whose brightness had set back the stars in their sockets. There is just too much going on in this paragraph, at least the parts of it I could understand. How did we get from the desert to a place called Jeda, wherever Jeda is? I had to look it up. It’s a village in Iran. I’m still confused. And while I’m all for specific detail in fiction, overkill dulls the effect, especially if the vocabulary is esoteric. I started to get really tired somewhere between solpugas and vinegarroons and desert basilisks. And what the heck is a chowdog? I Googled it and it’s not even a word. The closest is “chow dog,” which is a reference to a Chow-Chow, a fluffy dog with, indeed, a little black mouth. But is that what is meant here? If it is, is the juxtaposition of a stereotypical rich dowager’s pet with a poisonous lizard meaningful in this context? Whenever I find myself growing grim about the mouth; whenever it is a damp, drizzly November in my soul; whenever I find myself involuntarily pausing before coffin warehouses, and bringing up the rear of every funeral I meet; and especially whenever my hypos get such an upper hand of me, that it requires a strong moral principle to prevent me from deliberately stepping into the street and methodically knocking people’s hats off – then, I account it high time to get to sea as soon as I can. This is my substitute for pistol and ball. Compare that to the excerpt I posted above. Which one is trying to tell an actual story? Need I say more? This book gets better with each reading. Donald Maass, Christopher Vogler and I went through Mockingbird chapter by chapter for Story Masters this year, the second time we’ve done so. I found even more richness in the text this time than last. And here’s the thing: Harper Lee never intrudes with style. For her, it’s all in the service of the story. A novel about an inner journey, usually one of the marks of lit-fic. The storytelling key, however, is that we care about Holden Caulfield. 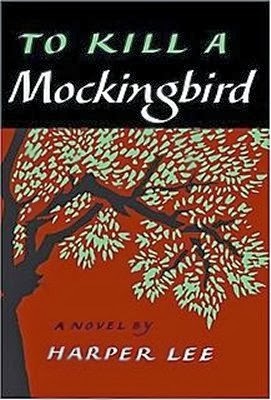 Salinger gives him attitude and confusion (the two things adolescent boys have most of) and a prep school experience that increases our sympathy for him. Without such fiction technique from the storyteller’s toolbox, the novel wouldn’t have worked. I remember reading this in Junior High and weeping at the end. Steinbeck had captured me with his story, and the guy won the Nobel Prize for literature. It can be done! Los Angeles, give me some of you! Los Angeles come to me the way I came to you, my feet over your streets, you pretty town I loved you so much, you sad flower in the sand, you pretty town. A day and another day and the day before, and the library with the big boys in the shelves, old Dreiser, old Mencken, all the boys down there, and I went to see them, Hya Dreiser, Hya Mencken, Hya hya: there’s a place for me, too, and it begins with B, in the B shelf. Arturo Bandini, make way for Arturo Bandini, his slot for his book, and I sat at the table and just looked at the place where my book would be, right there close to Arnold Bennett, not much that Arnold Bennett, but I’d be there to sort of bolster up the B’s, old Arturo Bandini, one of the boys, until some girl came along, some scent of perfume through the fiction room, some click of high heels to break up the monotony of my fame. Gala day, gala dream! This is so much grander than mixed metaphors offering up sound and fury, signifying nothing. With whom I once took a writing workshop. His stories are powerful in their subtlety, and from him I learned the great value of the “telling detail.” See “Will You Please Be Quiet, Please?” for starters. It was during the Carver workshop that I read many literary short stories that have stayed with me, including “Where Are You Going, Where Have You Been?” by Joyce Carol Oates. 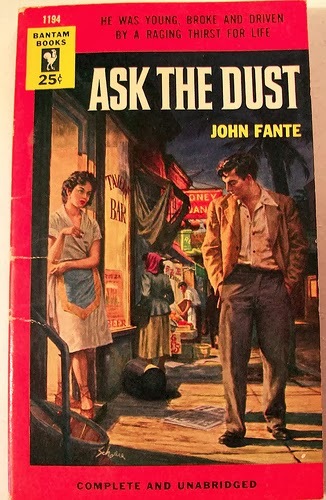 (Maybe I like literary short stories with question marks in the titles). I consider Hemingway’s stories to be among the finest in the English language. “Hills Like White Elephants” is an absolute masterpiece. Another Nobel Prize winner who told stories. Imagine that. was considered a comet of literary genius. He didn’t stop with short stories and novels. He also wrote plays and memoirs. He won (and famously turned down) the Pulitzer Prize. 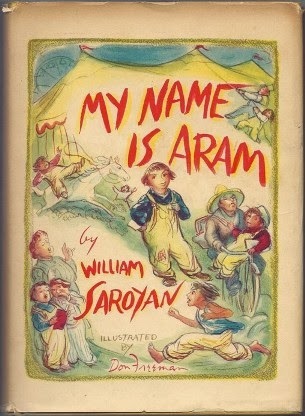 I think Saroyan’s My Name is Aram is one of the best collections of short stories ever put together. The first and last stories frame the entire work in a way that inspires pure wonder in me. My beloved high school English teacher, Mrs. Marjorie Bruce, introduced me to Saroyan. The first two pages of Sometimes a Great Notion have some of the best writing I’ve ever read. Kesey also told a great story, as Notionand One Flew Over the Cuckoo’s Nestattest. What makes Iago evil? some people ask. I never ask. I could go on, but this post is already too long. Let me conclude that my love of fiction includes the literary side of the family, too—even though some of those family members are prone to wander off by themselves, leaving readers behind. But I will always be at the house if they want to come back and offer up . . . a story. So what about you? What is literary fiction in your mind? Is it your cup of tea? Does it ever frustrate you? Who sends you soaring? Talk it up, because this is the last Kill Zone post of the year! I was a student in one of the best film studies programs in the country during the golden age of American movies. The 1970s saw an explosion of great independent films and directors, many of whom were picked up by major studios. Up at U.C. Santa Barbara, our intimate band of film majors got to sit around talking with exciting new directors like Martin Scorsese, Robert Altman, Lina Wertmuller and Alan Rudolph. But this was also the time when many of the great directors of the past were still alive, and they also came up for a visit. I got to chat with film giants like King Vidor, Rouben Mamoulian and one of my all-time favorite directors, Frank Capra. Also the legendary cinematographer James Wong Howe. Heady times indeed! 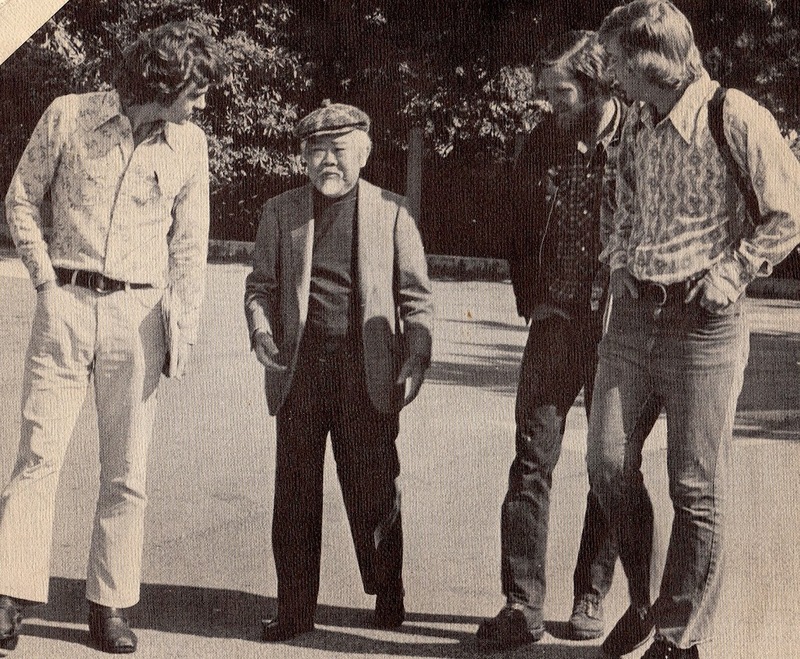 (The photo below is of three film students chatting with Mr. Howe on the campus. The one on the right with all the hair is your humble correspondent). Film studies at that time were heavily into the “auteur theory,” which had come to us from the French critics. The theory embraced directors with a marked style that was evident in movie after movie. You can always tell a film by Welles, Hitchcock, Josef von Sternberg, Chaplin, Keaton and so on. Visual and thematic consistency are the marks of the auteur. Over the years, though, I have come to appreciate more and more a director who is usually left off the list of the greats. Yet I believe he belongs near the top, and for reasons auteur theorists often reject. He belongs because he may simply be the best storyteller of them all. A great Western, The Big Country. A great musical, Funny Girl. The greatest biblical epic, Ben-Hur. Roman Holiday (a romance). The Desperate Hours (suspense). Friendly Persuasion(Americana). 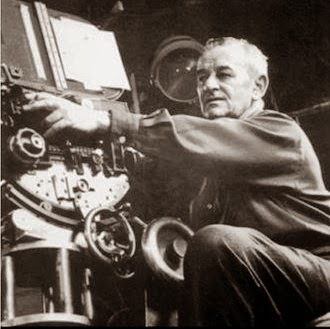 Wyler’s films have won twice the number of Academy Awards as any other director’s. Of the 127 nominations, half of them were in the Best Picture, Director and Actor categories. No less a light than Bette Davis credited Wyler with deepening her art and turning her into a major star. 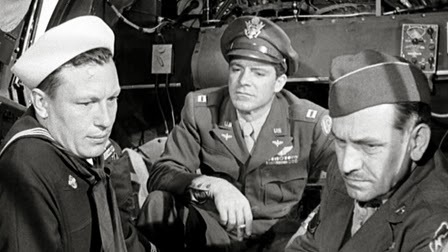 And right in the middle of Wyler’s amazing career is the film I consider the greatest ever produced in America, The Best Years of Our Lives. I re-watched it recently with my family and, once again, was knocked senseless by it. The mark of a classic is that it gets better every time you see it. Best Years is such a film. What’s the lesson here for writers? Those who really make a dent, be it in the traditional world, indie or “blended,” are all about story.If I have to choose between a novel that has a “literary” style but a dull (and even, perhaps, a non-existent) plot, and a novel that has a killer concept and professional writing, I’ll go for the latter every time. While I can enjoy a bit of “style for style’s sake,” it can run out of steam quickly if that’s all there is. Indeed, I’ve read some highly lauded lit-fic that turned out to be, for me at least, the scribal equivalent of the emperor with no clothes. What really rocks for me is when a great plot meets with a style that has what John D. MacDonald called “unobtrusive poetry.” That’s how I would describe William Wyler’s films. His framing is masterful. His work on Best Years with the great cinematographer Gregg Toland has never been surpassed. Above all, tell a great story. Give us characters we can’t resist, even the bad ones. Give us “death stakes”. Give us twists, turns and cliffhangers. Give us heart. Find your style by getting excited about your tale. That’s the key to the elusive concept of “voice.” If readers get just as excited about your story as you are, you’ve done it. You’ve clanged the bell, nabbed the brass ring, knocked a four-bagger over the green monster at Fenway. And if you’ve never seen The Best Years of Our Lives, get it on DVD and give yourself a good three hour stretch with no interruptions. Then sit back and marvel at the genius of William Wyler, storyteller. On December 20, 1943, a 22-year-old bomber pilot named Charlie Brown was in trouble over Germany. He and his newly formed unit were returning from their first mission, a successful one that took out a munitions factory in the heart of enemy territory. But before they got away, German planes strafed Brown’s B-17, tearing it up and wounding several of the crew. Brown himself was knocked out and recovered only at the last moment to prevent a fatal nose dive. Now desperate to get his limping plane back to England, Brown looked to his right and, to his horror, saw a German Messerschmitt tracking right with him. What Brown didn’t know at the time was that the German pilot was Franz Stigler, an ace, who was one kill short of number 23. That would have garnered him the Knight’s Cross, the highest honor for a German soldier in World War II. Here’s something else Brown did not know. Stigler had been schooled in the old warrior code that you fight with honor. He was told by his commanding officer never to shoot at an enemy in distress, like a flyer going down with a parachute. The reason? “You follow the rules of war for you, not for your enemy. You fight by the rules to keep your humanity.” (This was not Nazi doctrine, of course. But there were many soldiers who fought for the “Fatherland” more than for Hitler, and who had religious roots. Stigler himself was a Catholic). Stigler had seen that the B-17 had no tail guns blinking, no stabilizer, and a blown away tail-gun compartment. He also saw a terrified tail gunner behind guns streaked with icicles of blood. Charlie Brown thought the German would open fire, but instead saw the pilot vigorously pointing to the ground. Brown took that a signal to land in Germany. Brown shook his head. He and his crew all wanted to try for England. The stunned American pilot saw no more of the Messerschmitt. He and his crew barely made it back to England, but make it they did, with their incredible story. Only it was a story the American brass kept under wraps. They did not want to humanize the Germans! Stigler kept quiet about it, too, because what he had done would have been considered an act of treason for the Nazis. He knew that if he’d been seen escorting the wounded Americans, and his plane number identified, he could have been executed. After the war, Stigler emigrated to Vancouver. Brown continued his Air Force career for another twenty years. In 1990, Brown decided to try and find out who that German pilot was. It was a long shot, of course. They were almost half a century removed from the events. But Brown gambled with an ad in a newsletter for veteran fighter pilots, stating that he was looking for the one who “saved my life on Dec. 20, 1943.” He held back a key piece of information to test whoever answered the ad. Stigler saw the ad in Vancouver. He yelled to his wife. “This is him!” He wrote a letter to Brown. Brown called Stigler on the phone and without even being asked, Stigler gave Brown the secret information. 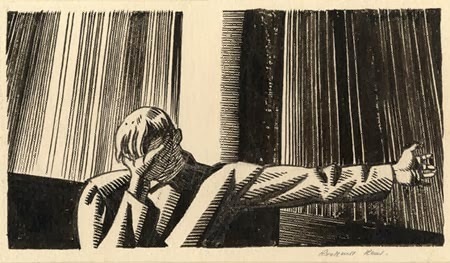 The two men, both in tears, arranged to meet. They became “special brothers” for the rest of their lives and died six months apart in 2008. Stigler was 92, Brown was 87. Their story is told in a new book, A Higher Call. You can read more about the men here. Honor is a thread that runs deep through the human spirit. It is what has built civilizations. It is what prevents us from being a mere sub-section of the animal kingdom. And it takes a special kind of cynicism or pathology to snuff that out. In my view, it is the storytellers who have the power to keep honor and nobility and sacrifice (and thus civilization itself) alive. It has always been so, from the ancient myths to Greek drama to the morality plays to world literature. I often deliver a keynote address to conferences called “Storytellers Save the World,” because in this sense, they do. Think of the honor shown by characters as diverse as Atticus Finch and Harry Potter. It is a character of surpassing honor that keeps the Hunger Games trilogy from finishing up in a nihilistic, dystopian darkness. Honor may be the very lifeline that keeps us from falling into that dark abyss. We are a people in need of honor, for our collective soul. And if we don’t keep that we won’t just be reading about dystopian worlds. We’ll be living in one. Honor thy fiction. Champion the sentiments that hold us together. This is especially important now, two days removed from the awful events in Newtown, Connecticut. Like so many of you, I spent much of the day Friday in tears. I would hear more reports, think of the children, and weep again. That’s honor and self-sacrifice in seedling form. That is the hope for our future. A future we can also affect with the stories we choose to tell.